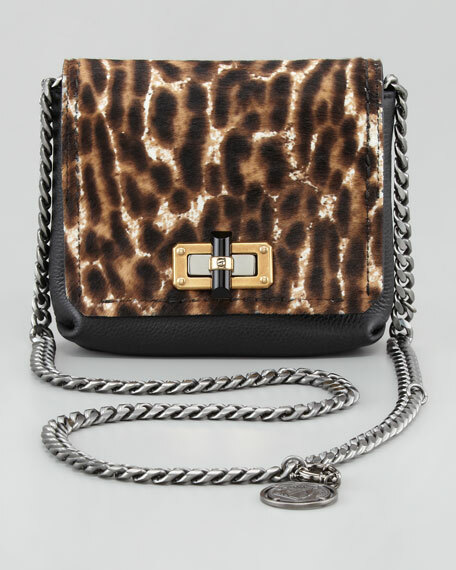 Luxe leopard calf hair, jewelry-like chain strap, and a logo charm: Distinctive Lanvin details mark the fabulous style of Alber Elbaz on this carry-everywhere mini bag. 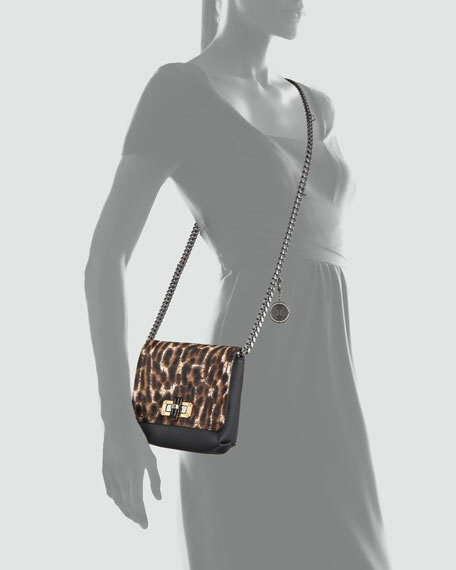 Leopard-print dyed calf hair (Australia) and pebbled leather. Matte silver crossbody chain strap; 22" drop. 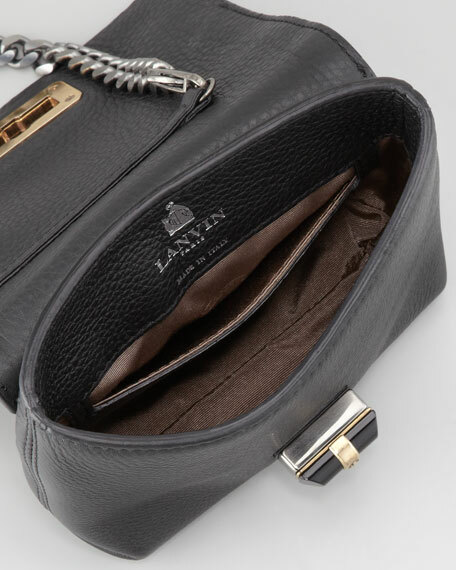 Removable Lanvin coin medallion hangs from strap. Flap top with golden turn-lock closure. Inside, grosgrain lining and leather slip pocket. 6 1/2"H x 7"W x 2 1/2"D; weighs 1lb. 8oz.